This paper investigates the tensile and fatigue behavior of polyethylene terephthalate glycol (PETG) parts manufactured by fused filament fabrication (FFF). PETG is a thermoplastic polyester that is available as a filament for commercial desktop 3D printers. As the functionality of 3D printing components for end-part use grows, it is essential to characterize mechanical properties of available materials in a quasistatic and dynamic loading condition. One of the main issues of FFF components is the anisotropy of mechanical properties that is induced by part-build orientation and raster orientation. The objective of this study was to quantify anisotropy of PETG coupons by testing against four raster orientations—longitudinal, transversal, diagonal and crosshatched. Quasistatic tensile tests were performed on two specimen types that yielded the highest ultimate tensile strength and modulus of elasticity for longitudinal specimens. Measured strength varied from 41.58 to 48.04 MPa for the weakest and strongest orientations which correspond to 83–96% of PETG strength processed by injection molding. Tensile–tensile fatigue tests with a stress ratio of R = 0.1 were performed at 90, 80, 70 and 60% of nominal UTS of each specimen type. S–N curves displayed the highest fatigue life of the longitudinal specimen followed by the crosshatched specimen at 80–90% UTS stress level that were both eventually outperformed by the diagonal specimen at the 60% UTS stress level. Finally, a fractography analysis conducted on fatigued specimens displayed signs of plastic failure for all orientations. 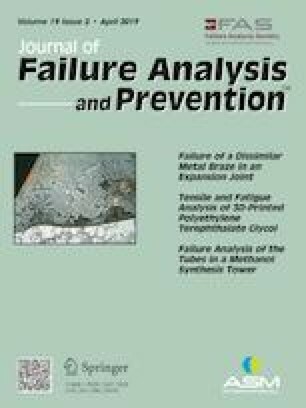 This paper provides an experimental analysis of PETG tensile and fatigue properties that have not been found in the literature. Results show that PETG is a good candidate for FFF technology because of the competitive mechanical properties and lesser anisotropy.